Everyone knows Bavaria as a winter wonderland, replete with some of Europe’s best ski runs, stunning snow-capped mountain vistas and of course fine ales, but there’s much more to this splendiferous region than can fit into one season alone. As the blooms burst from the ground in a riot of colour, feeding off the rich spring thaw, here’s 5 reasons to visit the Bavarian Alps in spring. 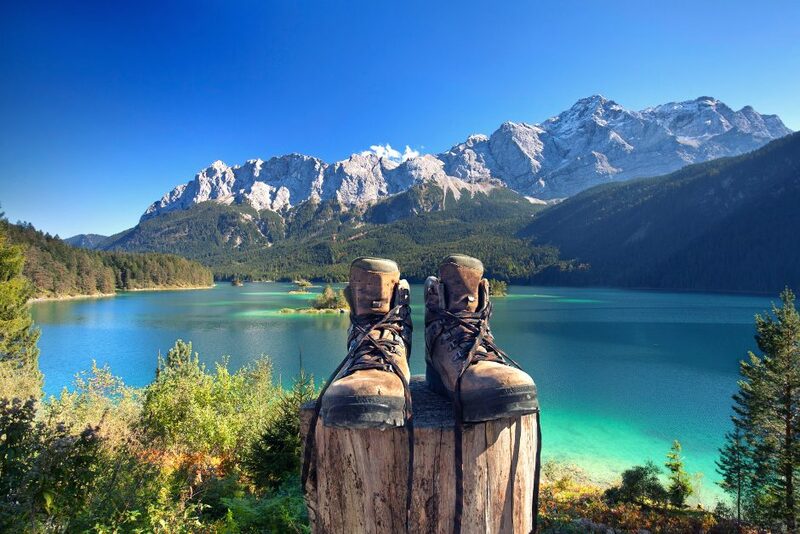 As the valleys fill with oh-so green grass and wildflowers, many of Bavaria’s peaks remain dusted in snow; those who choose to hike Bavaria in spring are treated to stunning views and clear mountain air. As spring thaw is ongoing, it’s worth choosing hiking trails where you can stride alongside gushing rivers, such as Höhentalklamm (Hell Valley Gorge). Following the route carved by the river over millennia, hikers pass through tunnels and catwalks while looking upon the Zugspitze, Germany’s highest peak. Nuremberg’s Blue Night, occurring in May, draws thousands of visitors from around the world each year. By night, the city is bathed in a blue glow as churches, museums and public buildings become the canvas for original and spectacular light art. Dubbed Nuremberg’s ‘long night of art’ the festival also includes some 250 artistic and cultural side events, making for one huge outpouring of artistic fun for the whole family. Munich’s Long Night of Music is a must for lovers of sound and sweet tunes. The streets thrum to musical styles from around the world. From jazz to rock, polka to calypso, and folk to sitar – the globe’s musicians fill Munich to bursting. Passau can lay claim to a prestigious location, a point where the Danube, the Inn and the Ilz rivers meet. As a byproduct, this beautiful town close to the Austrian border features a stunning mix of different architectural styles – from gothic to neo-classical – while the town’s St Stephens Cathedral features the largest organ of any Catholic church in the world. Bavaria really is a cyclists’ paradise. From quaint country lanes beside still mountain lakes, to heart-stopping mountain bike trails, visitors can expect to find a ride to suit their experience level and interests. Many visitors to Bavaria will often split up their grand tour into a series of smaller rides with particular themes. Love food? Choose a day ride through Munich or Passau and surrounds to sample the best in Bavarian food and wine. Need an adrenalin fix? Fly down the trails of the Berchtesgaden region – home to some of Europe’s most challenging routes.